I’ve been feeling sad about Rumpelstilskin. My people encouraged his to proceed with his operation and I do believe that was the best choice, but unfortunately bad things can happen during these procedures. I guess I got lucky. I wish them the best, and wish I could’ve met ol’ Rumpel. 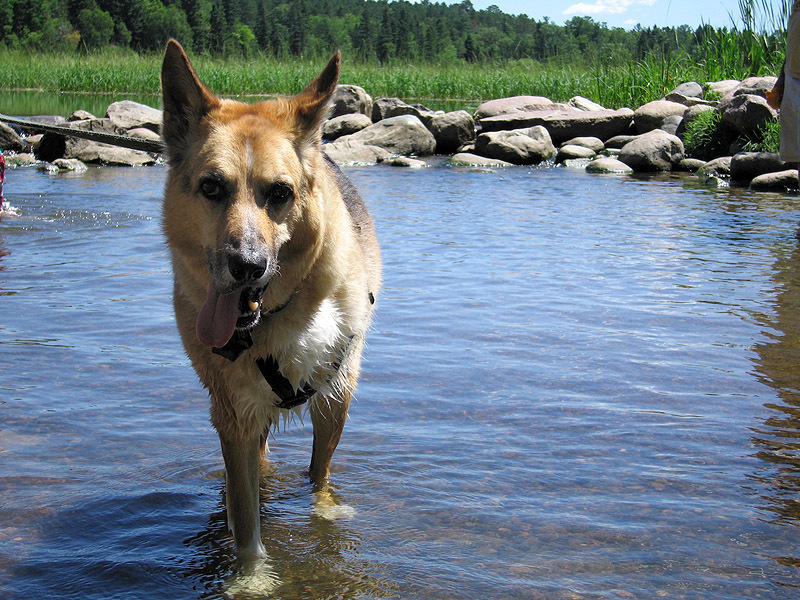 If you’ve lost a beloved pet to cancer, send me a photo or a few words and we’ll gladly include a tribute here on my site. 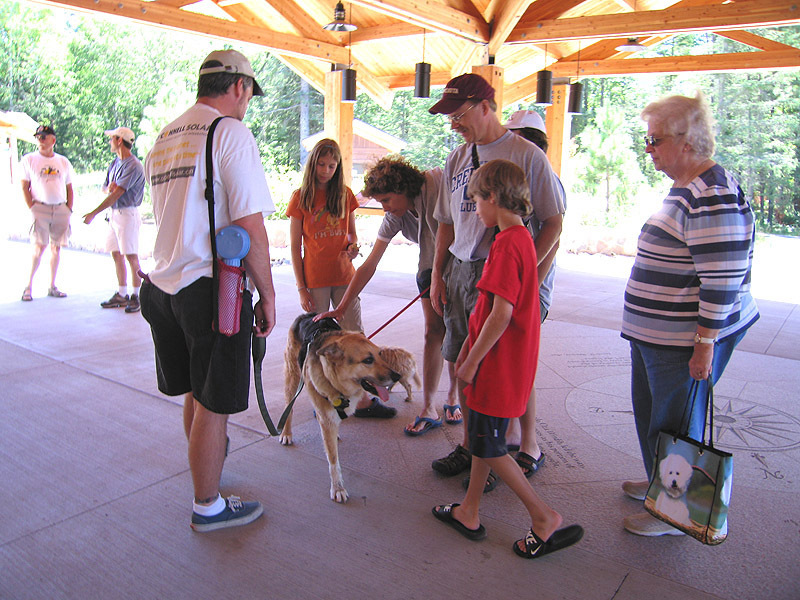 Recently we went to the Lake Itasca State Park while staying at Joe’s Lodge near Bemidji, MN to continue spreading the word about how life ain’t so bad on three legs. I got a lot of attention, which I just love. And my people told everyone about what happened to me and how well I get along now. They enjoy telling people about the benefits of my surgery and the canine cancer treatment plan they’ve chosen for me, though they are cautious now to mention that complications sometimes can arise. Did you know you can walk across the Mississippi River here? This place is where that big long river begins as a little stream. It’s kinda funny to think that later on during our sabbatical RV road trip we may be crossing this river again some 2,300+ miles to the south. Though I doubt we’ll be wading across down there!